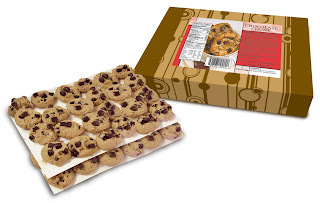 RockSports is now offering Pine Valley Foods' cookie dough as part of its new fundraising product offering. Pine Valley is the leading manufacturer of perishable goods for the fundraising industry, manufacturing over two million pounds every week. RockSports will be offering their award winning brochures to Central Texas schools and sports teams. Cookie Dough flavors include Chocolate Chunk, Oatmeal Raisin, Sugar, White Chocolate Macadamia Nut, Triple Chocolate, Snickerdoodle, and much more. To find out more information about RockSports Fundraising or Pine Valley Cookie Dough, please visit RockSports Cookie Dough Fundraising page. If you would like to sign up for a free tasting and information session, please call our fundraising department at 512-218-9913 x 311.